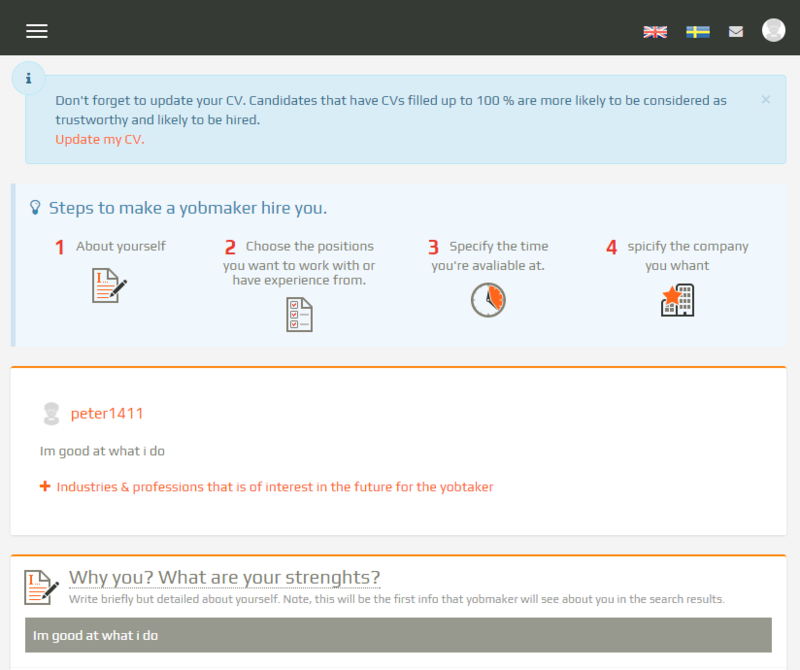 An easy-to-use web-resource for job hunting especially for young just graduated specialists. The HRM system allows searching, finding and meeting with potential hirers or candidates, placing CVs or job opportunities. This web-based human resource management system provides quick and simple negotiation and interviewing between candidates and employers. Users can create a list of favorite companies or send invitations for recruitment or interview. Nowadays, there are many ways of employment: freelance, full-time and part-time work, etc. For example, graduates, students or, in general, young people are positive about having extra money but it’s rather difficult to find a company that will be ready to provide a place of work for specific terms, hours/days. At the same time, many hirers require extra employees for several hours/days in case of unexpected situations, for example, a restaurant is full and a waiter has felt sick. The web service should be developed to offer an opportunity for the company and future employee meeting each other. Moreover, the web-based HRMs should provide fast, robust, dynamic and without hassle access to all features of job hunting platform both for candidates and employers. 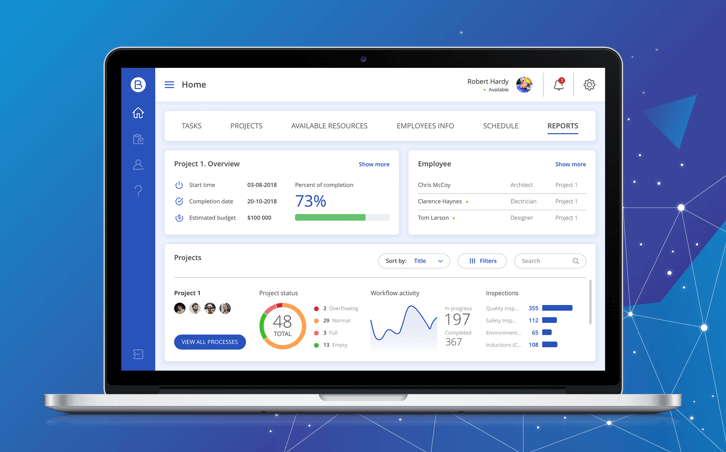 The client requested to develop a simple-in-use and user-friendly management system for human resources that allows connecting employers and candidates. The web resource should work smoothly and fast both on mobile devices, PCs and laptops, and let a user do the main operations in several steps. The core functionality of the web-based human resource management system for job seekers should include: placing CV and letter of application, searching for the hirer, contacting the hirers and possibility of applying for a vacancy with one click. The core functionality of the web-based human resource management system (HRMs) for hirers should include: placing vacancies and advertisement info, looking for the CVs, choosing and contacting with the candidates, possibility of offering salary direct after the shift. XB Software development team was asked to build an attractive human resource management system for young professionals. The system should operate both on PCs and on mobile devices for meeting employers and candidates in the same marketplace. Another feature of the web resource management system should allow a user to easily operate and use the web management service and do the main operations in several steps. Moreover, the web-based hrms should have multilingual support and provide the possibility of instant payment using PayPal service. XB Software’s developers made the web-based portal as a single-page web application using Backbone.js framework. That means it will not re-load all the page in a browser while you do typical actions: searching, filling forms, creating offers, etc. XB Software built the human resource management system based on secure REST API for client-server communication. We used a high-level database driver for MySQL and Express.js that allowed us to migrate to other DB easier and faster if needed one day. 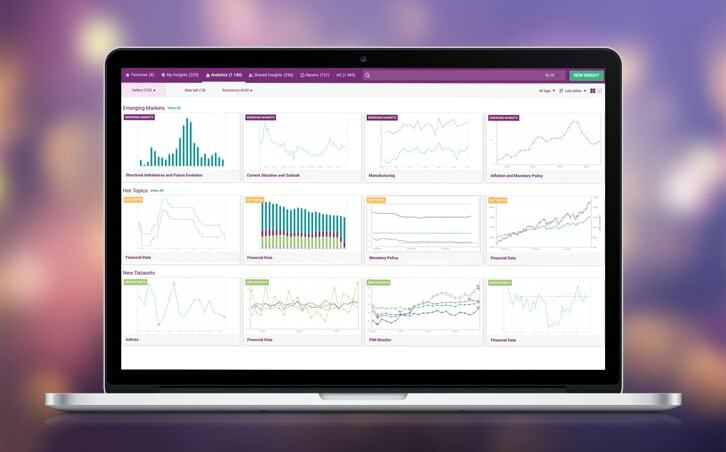 Our team used Twitter Bootstrap to build responsive layouts compatible both with mobile and desktop devices. For implementing multilingual support we used the client side Handlebars template engine. Node.js was used as the main app server. XB Software development team used PayPal’s Node SDK for providing the possibility of instant payment for both hirers and candidates. 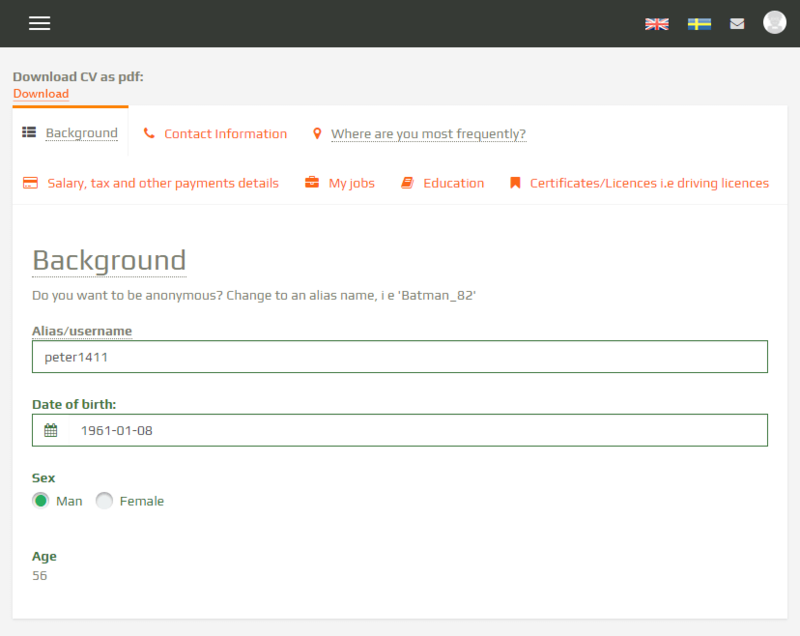 XB Software developers built an easy-to-use and user-friendly web resource for jobs hunting and employment. The web based human resource management system allows searching vacancies and employees, monitoring the selected companies’ work proposals, placing CVs and job opportunities or company ads. The main feature of the HR management system is the ability to make instant payment for executed work using PayPal. 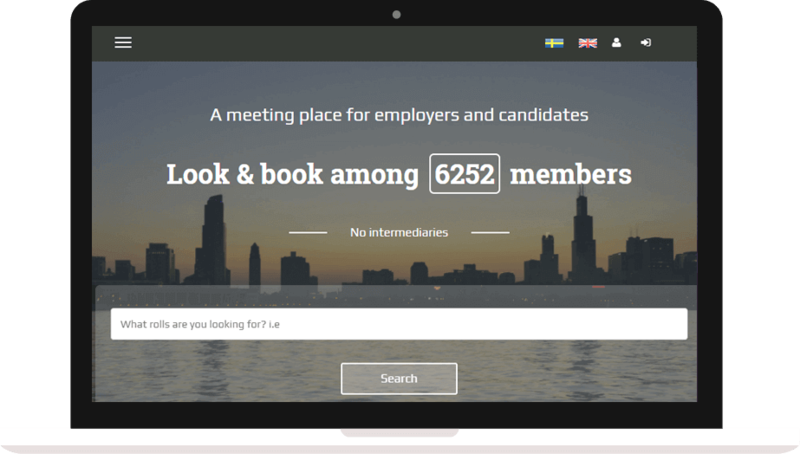 The job hunting service simplifies communication and cooperation between candidates and employers. A Sweden company that provides an innovative meeting place for candidates and hirers. 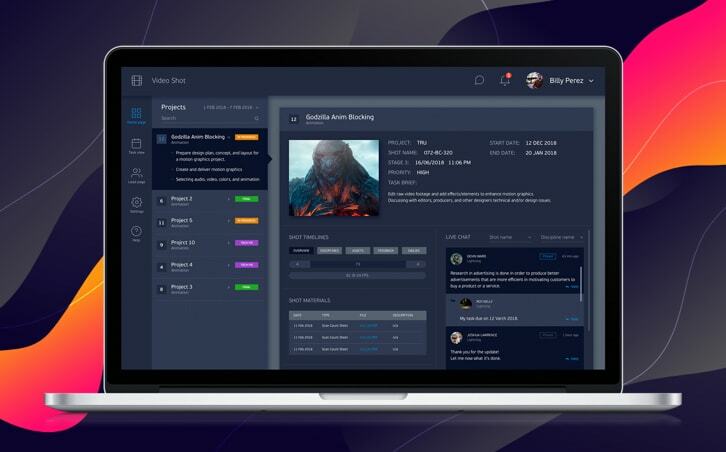 Their solution is designed to fulfill both candidates and employers needs in short-term employment and job opportunities.